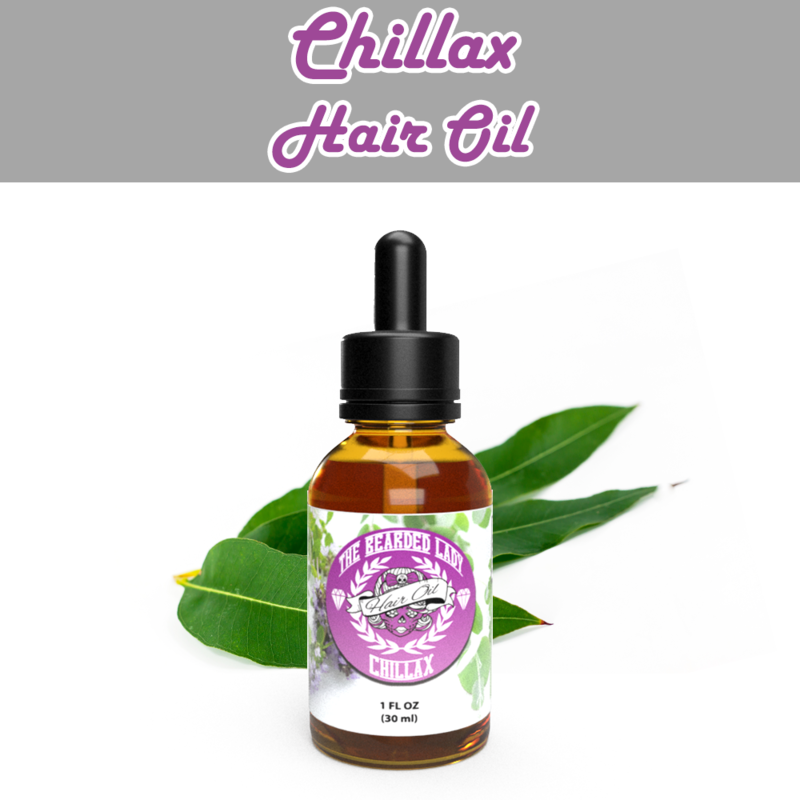 Chillax Hair Oil is the perfect stress relieving hair oil with its hints of eucalyptus and spearmint. Put this in your hair and you'll imagine that you're at the spa getting pampered. Hair oil is a great way to protect your hair from damage caused by styling tools such as hair dryers, straighteners, curling irons, etc. 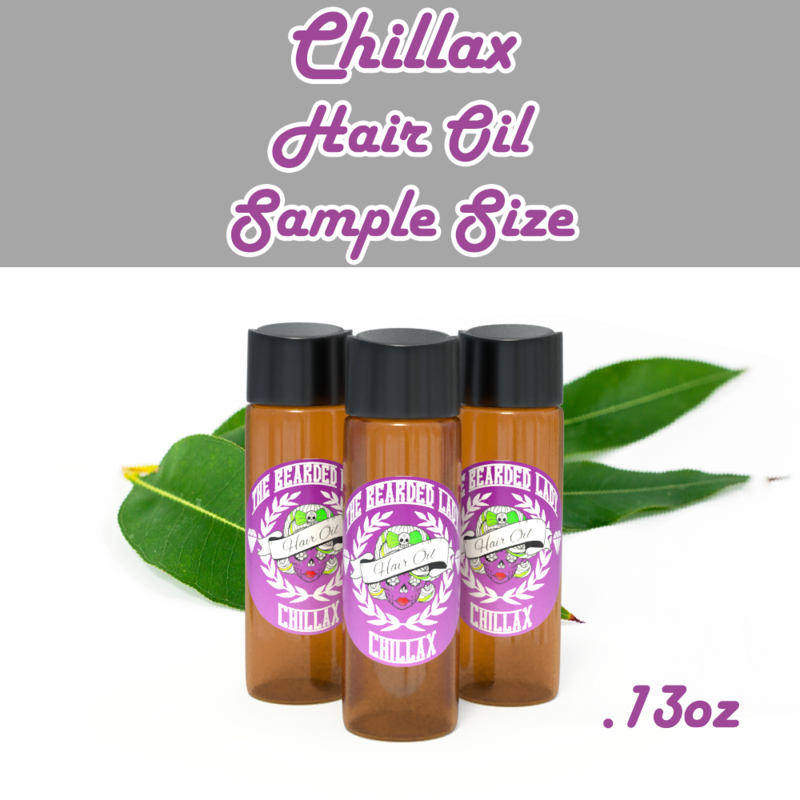 The Bearded Lady Hair Oil contains 9 different carrier oils, which all provide their own benefits to your hair health including argan oil, jojoba oil, vitamin E oil, pumpkin seed oil, hemp seed oil, and more. Followed with just a touch of fragrance to give your hair the freshness and protection it needs. SUGGESTED USE: Apply to your wet hair before drying - Before blow drying your hair, put a few drops of hair oil in your hands. Rub your hands lightly together, then apply the oil to the length of your hair, focusing on the ends. You can also comb the oil through and let your hair either air dry or use a blow dryer. If your hair is feeling a little frizzy, apply a few drops of hair oil to your hands, rub them together, and apply the oil to the ends of your hair.